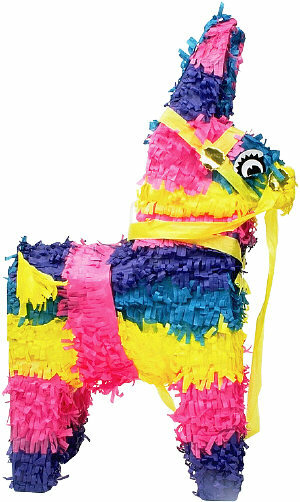 A piñata, made from paper mache and filled with sweets or other treats, is made in the shape of an animal. 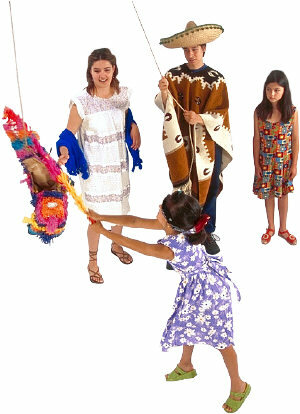 The Piñata is hung from the ceiling by a rope, and the person whose birthday it is, is blindfolded, and hits the piñata with a stick, until it cracks open. Once the piñata is broken open, the treats are all shared. Although this tradition originates in Mexico, it has now become popular in many other countries too. If you're a parent organizing a birthday party for your child - you could incorporating this game into your party.